There is often confusion over the best way to transfer property in Maryland. There are several factors that must be considered such as: where you live, the nature of the transaction/property, and the parties involved in the deed transfer. 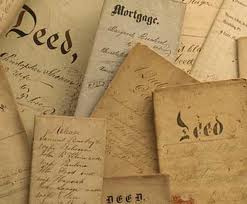 Answers to these and other related questions will lead you to the correct legal choice for your deed transfer. Call or e-mail now for a free confidential consultation to discuss your options in transferring property and to arrive at the correct legal decisions, or to have someone removed from or added to a property deed: Maryland deed transfer attorney Stephen J. Reichert at 410-299-4959, sreichert@reichertlegal.com or by clicking here. The essential difference between a Maryland Warranty Deed for real estate and a Special Warranty Deed, is that that guarantees in a Warranty Deed cover the entire history of the property whereas the guarantees in a Special Warranty Deed cover only the period of time for which the seller owned the property. 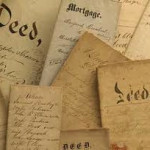 If there are difficulties with the Deed in the future, the seller in a Warranty Deed must defend the title against all claims and compensate the new Deed owner for any debt or damages. The seller in a Special Warranty Deed is only responsible for the debt and damages directly caused during the seller’s ownership of the property. For a free confidential consultation to discuss this and other deed transfer issues, contact Maryland deed transfer attorney Stephen J. Reichert at 410-299-4959, sreichert@reichertlegal.com or by clicking here.